Sten Linnander will personally sign copy(ies) of the printed book for you at $14.95 per copy (plus $4.50 for postage – save money on postage for multiple copies to the same address). Buy one (or more) books by clicking on the PayPal button below. But first please tell us how you would like Sten to sign the book. 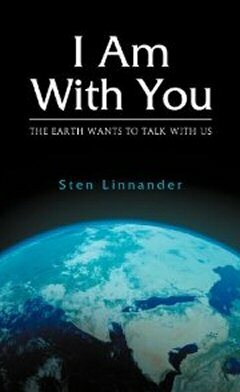 (For example, “To Paul.”) If you are buying multiple copies, and each copy should be personalized differently, please send Sten an email at stenlinnander@IAmWithYou.com telling him exactly how you want the personalized signatures to read for each book. You have 200 characters (letters, numbers and spaces) for the personalized signature. How should Sten sign the book?